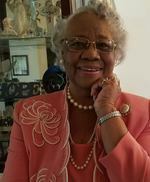 her nursing career she served at Wayne Memorial Hospital, O’Berry Center and Cherry Hospital. Pearson and enjoyed 22 years with her husband. sacrifice to further the Kingdom. She accepted the call to teach the gospel in February 2004.
and Outreach group, and would often visit and pray with sick and shut-in members. For Spiritual Growth and Maturity, in 2016, edited and published by her grandson Richard A.
Dolores Hayes, as well as a host of nieces, nephews other relatives, friends, and beloved . times at the Taylor’s Residence, 1016 S. Taylor Street. Service of Love & Compassionate Care have been entrusted to Serenity Memorial Funeral Home & Cremations, LLC. To send flowers to the family of Elder Sarah Pearson (Newkirk ), please visit our Heartfelt Sympathies Store.